. . . and onto a can of its beer. Okaaay. But that’s not even the most unusual thing about Blue Point right now. 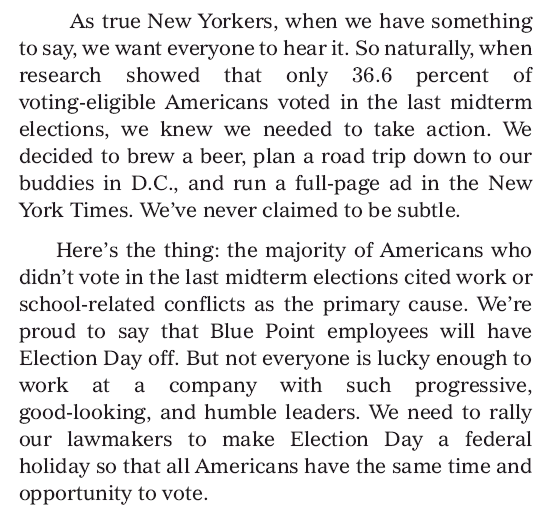 The most unusual thing is this full-page ad that ran in yesterday’s New York Times. 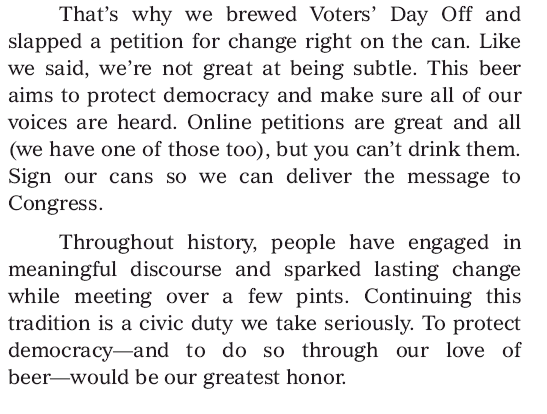 The hardworking staff says, Go for the can. 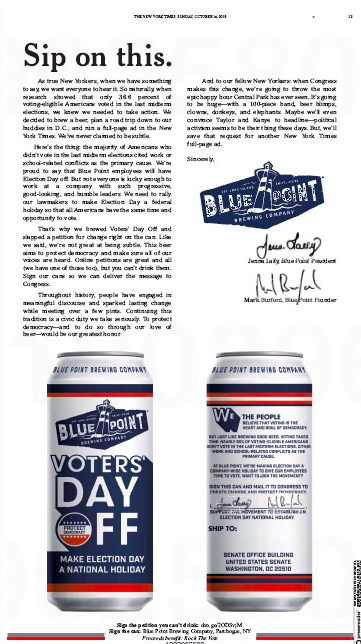 This entry was posted in Uncategorized and tagged Anheuser-Busch, Blue Point Brewing Company, Kanye West, New York Times, Rock the Vote, Taylor Swift, Voters' Day Off. Bookmark the permalink.